Is your child due for a tooth extraction? You may be wondering what to expect and how to help your child after the procedure is done. Smile Reef knows that every parent wants to comfort and help in their child’s healing process. That is why Smile Reef will share what to expect right after your child has completed a tooth extraction and how you can best care for them after the procedure. 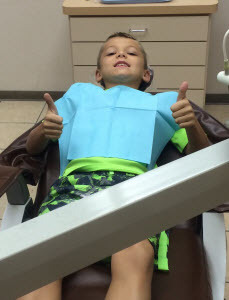 Right after your child is done with his or her extraction, they will still have some numbness. Depending on the amount of anesthesia your child was given will determine how long the numbness will last. While your child’s mouth is numb, you will need to help them refrain from biting down on their tongue or cheek. Often the dentist will advise the parent to only allow the child to have liquids until the numbness wears off. Where liquids are allowed, we also want to warn you not to let them drink from a straw. Drinking from the straw could cause blood clots to dislodge and interfere with the healing process. If the numbness has lasted longer than a few hours after the procedure, contact the pediatric dental care office. How to Stop Bleeding After Tooth Extraction; How Long to Leave in Gauze? After the tooth has been extracted, the dentist will place gauze over the extraction site. This is applied to stop bleeding and help make blood clot faster. The gauze shouldn’t be removed until 45 minutes after leaving the office. If the bleeding continues, fold a piece of gauze to make it thicker then dampen it with warm water and place it over the extracted tooth. Next, have your child bite down on the gauze to create pressure on the extraction site. Repeat every 30 minutes until the bleeding has stopped. 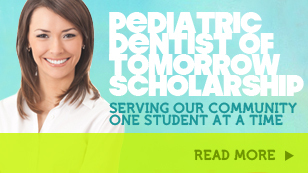 If you can’t get the bleeding to stop after an hour then contact the pediatric dental care office for additional help. Blood clots are very important to your child’s recovery. The blood clot will form over the socket of the extracted tooth that enhances the healing process and stops further bleeding. Be sure you don’t allow your child to do any strenuous activity or drink from a straw or rinse their mouth vigorously for at least 24 hours after the procedure. The blood clot could dislodge and the socket will begin to bleed and slow down the healing process. There might be some swelling and slight discomfort for the next few days following the extraction. You can help soothe your child’s mouth by applying ice to the side of the jaw that is affected, for about 20 minutes at a time and as often as needed. Of course if these symptoms last more then two or three days, contact the pediatric dental care office for more help. Your child’s diet after the extraction should consist of soft foods and plenty of liquids for the next 24 hours. Also try to avoid hot drinks. Solid food can be introduced the next day. Have them avoid chewing on the side of the mouth with the extraction site until the sensitivity goes away. Your child will need to avoid cleaning their teeth too close to the extraction site for the first day. That doesn’t mean not flossing or brushing. You just want to avoid the blood clot for the first 24 hours after the procedure. For the next few days have your child rinse their mouth with warm water and salt. This helps keep the extraction site clean and protected from infections. As any loving parent or guardian, we want to help our child through their healing process and to comfort them the best way we can. Smile Reef hopes for a quick recovery. Should you have any other questions or concerns, contact Smile Reef today.